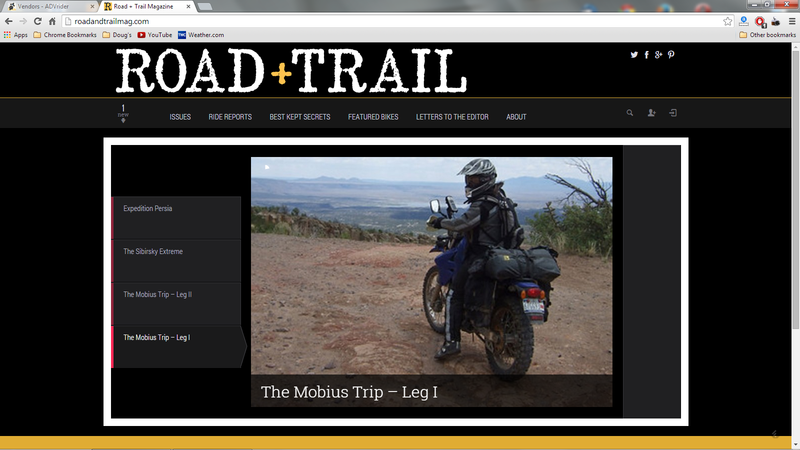 Stumbled across Road+Trail, a brand new adventure touring publication, while perusing ADVrider.com today. Give it a look; great ride reports! Thanks for the coverage Doug! We'd love to dig in deeper with you if you're up for it. You can let your subscribers know we're running a giveaway over Thanksgiving, with the winner getting a new Fly Racing Dual Sport helmet.